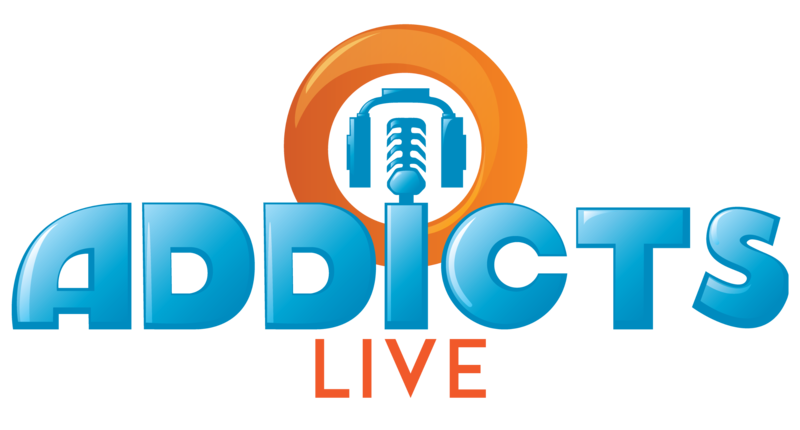 No new episode of The Simpsons tonight, instead you may want to catch up on some episodes of Addicts Live you may have missed. It’s where we bring insight, humor and fun into what’s going on in TSTO…also where we give previews about what’s ahead & what we plan on posting on this site. The Thanksgiving mini Event ends bright and early tomorrow morning! Hopefully, you’ve finished grabbing those prizes & your ready for what’s next. What do you think it’ll be? Did you enjoy the event? Black Friday/Cyber Monday are almost over…did you get any good treasures? Both in TSTO and outside of TSTO. How was the rest of your weekend? Do anything fun and exciting? Thanks… not sure how much everyone agrees, but what the hey! I’ll write them as long as you read them. Can’t wait for the Christmas update! Hopefully it will be something everyone will like. Thankyou for everything you do Alissa, Patrick, Wookie, Safi and all those who contribute to TSTO addicts. It’s comforting to know that I can lurk, comment and read everyone else’s comments. I have always found solace in playing the game. I started playing at a really low time in my life. That was Christmas about 4 years ago. I’m finding solace now. Well very good i hope everything continues to get better. 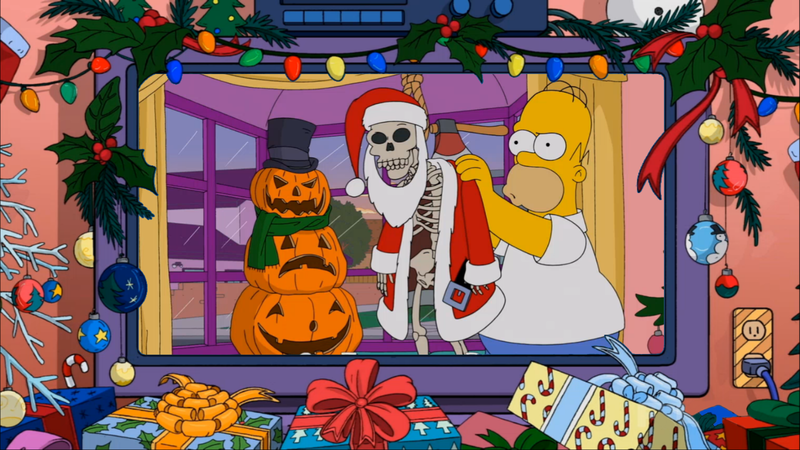 Christmas stuff just popped up in my Springfield..
I’ve a question…when I select Homer to do something, there’s a 60 minute quest called “Hide” at the top of the list. What is this for? I’ve tried doing it but it doesn’t go away.usually when a quest is at the top (out of the normal “time” order) it needs to be done to accomplish something, and then either disappears or goes into the correct order. I think when it is needed to accomplish something, it is usually in yellow. I don’t have this task on my list of tasks for Homer. Maybe it was a task from a previous event and perhaps if you didn’t complete it at the time- and maybe it just stayed there? Might be a daily challenge? What a Black Friday/ Cyber Monday Sale! I can’t rave enough about these mystery box deals. Never have I had so much fun! Love them. Love them. Love them. This has been a banner year for my Tapped Out experience. • For new tappers, go for the boxes you can afford that yield percentages and are items you like. • Seasoned tappers, just go for it all. You’ll feel better. I usually go into these events saving my donuts all year for the Black Friday deal. This year I only had 100 donuts left after I bought all of both sets of the Halloween boxes. I am a regular 4-hour tapper, most days. Discovered KEM farming around January had just 150% after 3 years. I just liked getting cash for some reason. I tried getting all the mystery boxes for Valentines Day… was just short of 1 or 2 items and couldn’t get them all. I got some real duds. I was a little bitter, and wanted to save money for percentages…. so I let some of the boxes pass. HINT: Take the deal, even if you don’t like the item, if you can afford it, take it. You will like it eventually. Or you can just hide it. This year… Going into the event I had 53,000,000 cash and about 100 donuts and 800%. I knew I could farm enough to clear the CHARACTER BOX, but after that, I cleared the RETAIL BOX, too. 1300 donuts by farming. I wanted the OUTDOOR BOX, because I kept passing up the Springfield Gorge last year. But there was so many items I didn’t know if I should risk it or not. I decided to hit the DECORATION BOX, and cleared out most of those items because they had some pretty good %. (hindsight, should have cleared this box first) But, the characters were too alluring. HINT: Save your donuts to buy % based items in bulk until you raise your percent to 500% (mystery boxes) or (Jet Engine bikes in the vault) or (special rebate items (2% for 10 donuts). Buying % items first, allows you use the bonus % to get the more donuts on the current rounds. I wasn’t able to empty my stash of cash KEM farming about 50 donuts at a time every 4 hours + about 200 -250 donuts a day. When Cyber Monday hit, I farmed a bit more, but added some Rat Trap Trucks to delete my cash to under 1 million. Don’t go too low, or you can’t pay for the 50,000 extra donut chance. — And there are a lot of them when you farm 50 donuts a time. I couldn’t get everything. but I got about half of the stuff in the boxes. I raised my % by 50% from the event, so I’m at 850% and now with cutting back to farming 25 KEM a day. 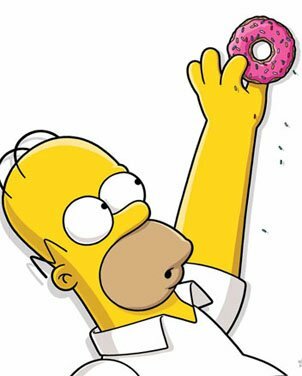 I still get about 10 donuts a pop … or 50 donuts a day … and about 3-4 million in cash a day… maybe more. If I skipped all the deals and maxed out the % from the Balloons or mystery boxes, I’d have well over 1000%, but there’s always Christmas time. The gambling aspect is real. The agony of the not getting what you want in the box, is tempting to spend more money and more money. If you want to do it, do it. EA has put a great game together. And their selling tactics are getting much better. I love Tapped Out now more that I can buy things I couldn’t or wouldn’t want to before. HINT: When you can buy all the items in the box, it’s not gambling. There’s no risk. The payment you give is EAs reward for doing a good job selling. Bravo! They’ve really given a lot of really great content for free over the years. Reciprocity is real. Give some cash back. Reward them when you can with your entertainment dollars. Going into Christmas, rain or shine, snow or mudslides, Let’s see how positive we can be as a community. You’d be surprised how much more you like events when you can smile a little, laugh a little, and buy everything you can, releasing a twinge of dopamine every time you tap. Merry Christmas and Happy Holidays from the U.S.
Hope others around the world have a festively good year! Thank you Alissa, Wookie, Patrick, and Safi for all your hard work. Wow ! that was a long post but interesting never the less. Let’s hope we all get a Christmas event that keeps us engaged. I assume now nothings going to happen before next week ? Time to build up those donuts. Is anyone else experiencing being logged out and forced to re-download the 799 MB update? It seems like after every time I close my game and go to log back in, it’s kicked me out, and makes me do an update. I’ve even tried uninstalling and reinstalling. It’s happened like 6 or 7 times now. iOS update issue? Yes it did that to me recently because iPhone storage was low. When the new iOS downloaded it deleted some app space to make room for the new file including all of the Simpsons data. Check your storage and data space. That’s usually a symptom that you need to free up some room on your device. Try deleting (or uploading to the cloud) some photos or something and see if that fixes things for you. But, no – the problem is with your device this time, not iOS. Hi just wondering if I missed something. My daily challenges have changed. I used to be able to cancel the first offer to get a second but now I can’t. Is everybody having this problem. Still works for me! Is it possible that you cancelled one already, like late last night? Just curious if anyone else is having the collecting money sound cliche going off even when you aren’t collecting anything? Plus my game has been soooooo slow this week and I don’t know why. Did you get the nerds in your gold box? Store them and bring them back out. I realize the mystery boxes are gone, and have already been discussed ad nauseam. But here goes…..I was mad at July 4th mystery box because I wanted Teddy R. I spent all my doughnuts and he was the one thing left still in the box when the event ended. This time though, there was no one item that I REALLY wanted. So the boxes were fun. I had tons of options in every box. I felt (almost) every option was a good one, and even though I certainly couldn’t get them all, I am very pleased with the items I did get. So this is my new philosophy on mystery boxes. If only one item will make you happy, don’t get sucked in. But if you would be happy with any of the items, go ahead and roll the dice. Or you can just plan ahead, check out donut/KEM farming. By next fourth of July you will have enough to get Teddy. I’m not into farming, but I am into saving. I did have almost 500 doughnuts for July 4th….it just wasn’t enough. Hopefully there won’t be too many new items in a potential July 4th mystery box since I have almost everything from last year! I find it mysterious that all these deals from Gil yet we haven’t seen Gil pop up and plead this time around to alert us. Just wondering if this year EA is planning on giving us and Gil a permanent home? I know I’m late to the thread, but what is everyone’s guess for the holiday event? Are we actually going to get a Christmas theme? Stone cutters? Who thinks what? EA, if you can’t handle what I want to put in my game, offer a “delete permanently” option because I cannot stand having stuff in storage but you won’t let me place it! How do you get the Wiggum Christmas house? Does anyone know when we might be getting the Christmas event? I would guess after the Thanksgiving takedown, but before December 25th. 🙂 Who’s the silly boy now? You know, i just re-read this and realized I initially read it wrong. I thought you said what, not when. Although, I understood what you were saying. Hence my response of: “Zah”? Oh, yeah – while I may not be feeling festive yet, I’m liking the banner. Thanks! It is always fun to make these…re-purposing old art into new ways. Bring on Christmas! My only comment is I hope with the forthcoming update that EA updates the iOS version to support iPhone X. Now it’s like the old days and playing on an iPhone 3! Hopefully they update it to full-screen! Also I have 1200 items from the excavation site and beasts in my inventory, this isnt acceptable. EA needs to let us sell items for sure. I found a lot of items in inventory that provide percent bonus. Go through all of them and check the info on the blue button. If it provides a percent bonus, it will provide it only if you place the item in your town. Well I was up stupid late, having farmed back to 112 donuts and wanting Quinn, you may have seen earlier I splashed out on a stack and then the tokens bonus went. Freebie was the nerds, first bought got me the Spa and Bandit Fort, the donuts used to get Quinn. Then the dozen got me the Shadow Knight, and the last stack got the Donut Boat and Mars Colony with the donuts used on the character box bringing Krustylou Studios. If Mellace is reading, the plan for a movie lot is coming along nicely with the colony, fort and studio added and I’m also planning a festival area with the Homerpalooza stages, Springfield Bowl and Woodstock ( from the casino event ) together with random tents, stalls and ornaments scattered around. Somewhere for a lot of that Pagan stuff after all, and other oddities. If you’ve ever seen Glastonbury for real or on TV you’ll know where I’m coming from with that. I love the movie lot!! I hope he next event actually has some thought put behind it. Would be very nice if we could buy rides with Krusty Land money. I’m disabled not to much money to spend so thank you for be able to buy extra houses and buildings with donuts. I’m really enjoying myself very entertaining. Imagine how much enjoyment you’ll have during your second Third of a Century. Happy birthday! Tomorrow’s my birthday! Enjoy your special day too. First of all thank you for all of you guys that are putting hard work into maintaining this community. I don’t mind the cranky or the sensitive, it just makes it more human. I bought the walking kwik-e mart because of a comment that someone made on this blog. It is THE best buy I made so far. 1- its cute to look at. Unless you’re drunk than don’t stare too long. 2- I get almost the same amount of money for a 4 hours task than for a 8 hours task. 3- I know where everybody is. Real quick for donut farming. 4- And the employment center use the walking kwik-e has a default 4 hours task, so I enjoy seeing all my characters walking à la queue leu leu to get to the kwik-e mart. Another buy that seems topnotch is the teleportation bundle. I have 50 donuts but not enough time to railroad the 30 remaining donuts. Did you complete the quest line and send Apu on his 4hour task yet? I’m afraid to do it. I think the 4 hour option from the Employment Office will go away if I complete his task. Just being overly cautious? Been playing for a while now mostly as a premium player, but when special events come up I will spend some real cash every now and then. ( But I keep it under $10 ms only a few times a year). Sorry for the typo ( bad spell correct ) it should Read freemium , not premium player. 2 1/4 hours to go — and we’ll see what happens! Sounds like it’s time to listen to Alanis Morisette’s Jagged Little Pill album. Hope you’re in better spirits soon! Brooders, I do not celebrate, not religious, and “fun” was not a doctrine growing up. Have an amazing, if not somewhat belated in addressing, birthday. You do mean a great deal, and again, apologies. Thanks Kitty, SS, B, appreciate the thoughts, coping with way too much life stuff to be sociable and I am truly sorry. On a plus side in TSTO, had resolved my missing Lord Montymort, EA reps were extremely helpful. I probably won’t be updating for a bit chatwise, but still TSTOing. No need to apologise, I just hope you’re okay and the things you are dealing with get better for you. I hope to see you back here commenting again soon and felling happy. Can’t help myself, still lurk here Kitty. Hope things pick up for you, Cube. Christmas can be a really tough time of year, adding to other stuff. Ta Suerees, I’m the bah-humbug-type, but from your comment I’m pretty sure you know that by now. Cheers mate! Had a very nice low-key Thanksgiving. Very grateful for the rest! The only thing I wanted out of all those boxes was the guinea pig rescue center. I really wanted that, but why can’t I just buy it outright without having to gamble 300 donuts on it? I just had to pass. This was a fun Thanksgiving event and that’s my only complaint. 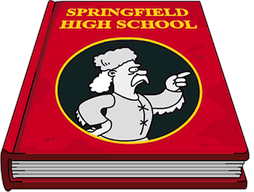 Looking forward to falling leaves and snow in my Springfield!